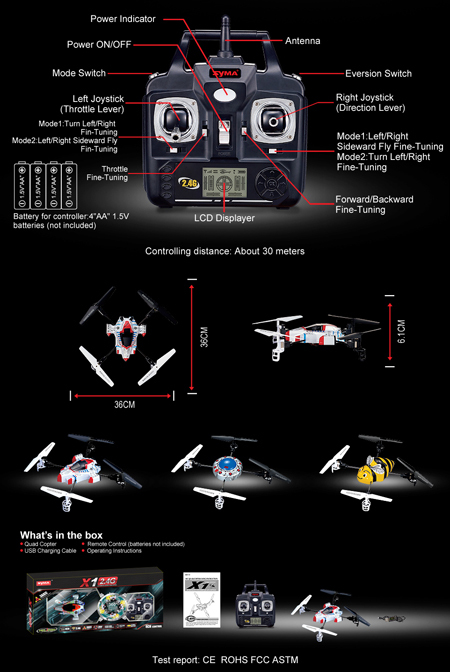 The Syma X1 4-Channel Quad copter brings a new element of fun and flying to radio control helicopters, a completely different experience of flying - balance, control, and flips are a refreshing change and new process of learning to fly. Being a proper 2.4G radio these can be flown indoor or out. Latest 2.4GHz Radio control. By using of the 2.4GHz spread spectrum technology, the model has strong anti-interference ability, lower power consumption and rapid response. Use indoors or outdoors without worrying about available channels or interfering with other flyer's. 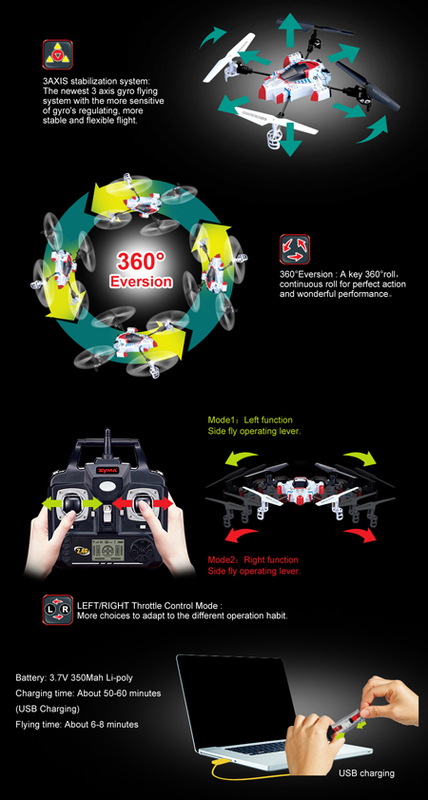 The latest 3-axis flight control system, with adjustable gyro sensitivity, allows super stable flight. Two Flight Modes available selectable on the remote at the touch of a button: Beginner/ Advanced, Indoor/Outdoor, Slow / Fast. 4 x AA Batteries for the Radio Transmitter. Radio frequency: 2.4GHz with spectrum spread technology. Environment: Indoor or outdoor use in low wind conditions. 4 x AA batteries for the Remote. (Available at the top right ofd the page) buy them at the same time and save on delivery. 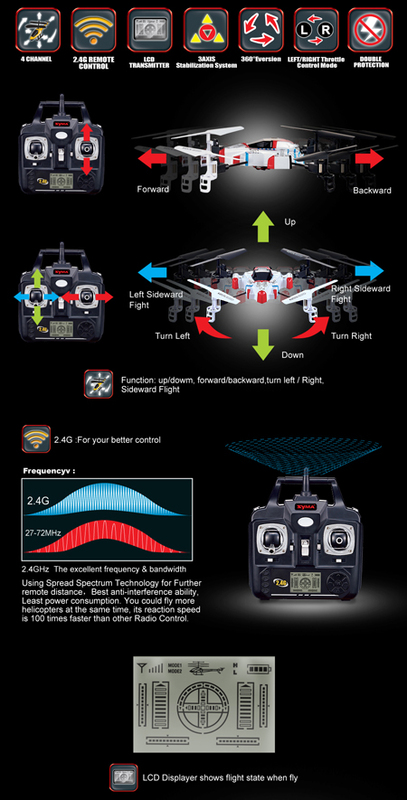 Showing our 2 Syma X1 UFO 360° Eversion 2.4Ghz 4 CH RC 4 Axis Gyro Aircraft Quadcopter RTF NEW reviews with an average rating of Excellent. Would you like to write a review? This things amazing! highly recommended.